My kids are huge fans of fish tacos. It’s fun to place all the fish taco ingredients and garnishes in front of them and watch them customize their own fish taco. Emily got the taco creation process down and is becoming quite the taco making professional. When her Auntie Sheryll came over the other day for dinner, she walked Auntie Sheryll through, step by step, how to create the perfect fish taco. First, you spread some sour cream on the tortilla. Second, put some fish on top of the tortilla. Then you put shredded cabbage, salsa, black beans, and whatever else you want on top. Finally, you eat! I’ve grilled, baked, and fried the fish for fish tacos. 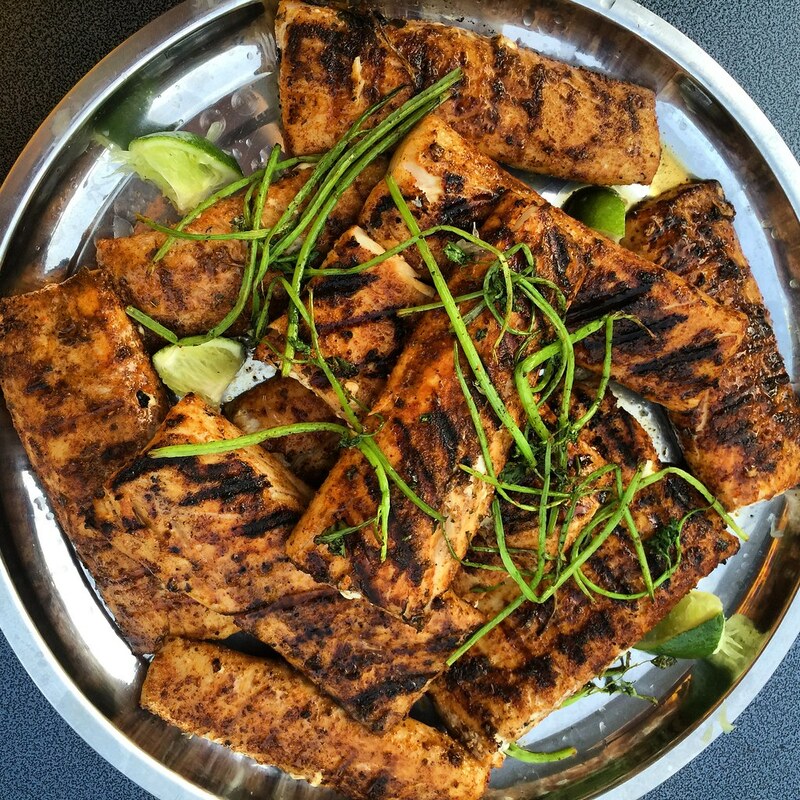 Each method works great, but my favorite is to grill the fish on medium high heat over charcoal grill. The most important thing to remember is to not overcook the fish. It cooks super fast, so pay attention! Make Seasoning – In a small bowl, combine chili powder, cumin, Mexican oregano, kosher salt, onion powder, garlic power, and black pepper. Mix well. 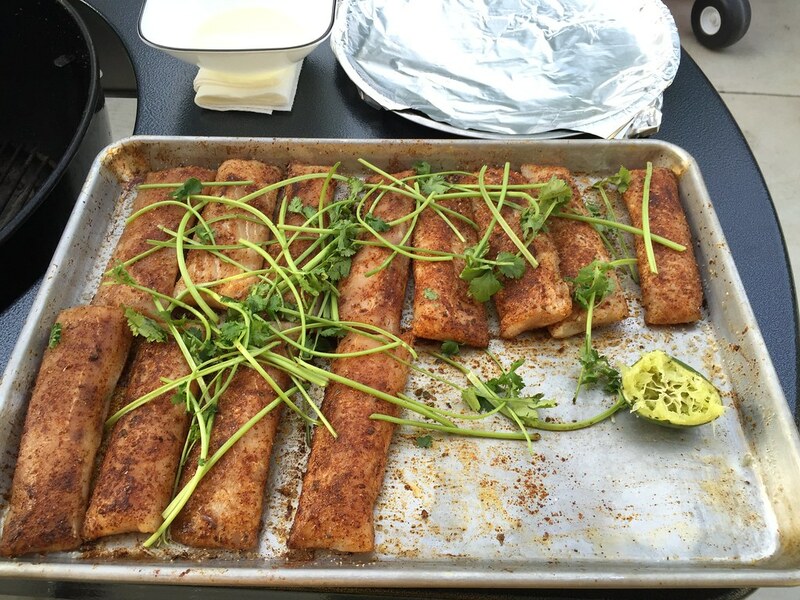 Grill Fish – Prepare grill for medium high heat. Clean and oil grill grate. Grill fish 3 minutes on the first side and 1 minute on the second side. Plate and squeeze fresh lime juice from half a lime on top. 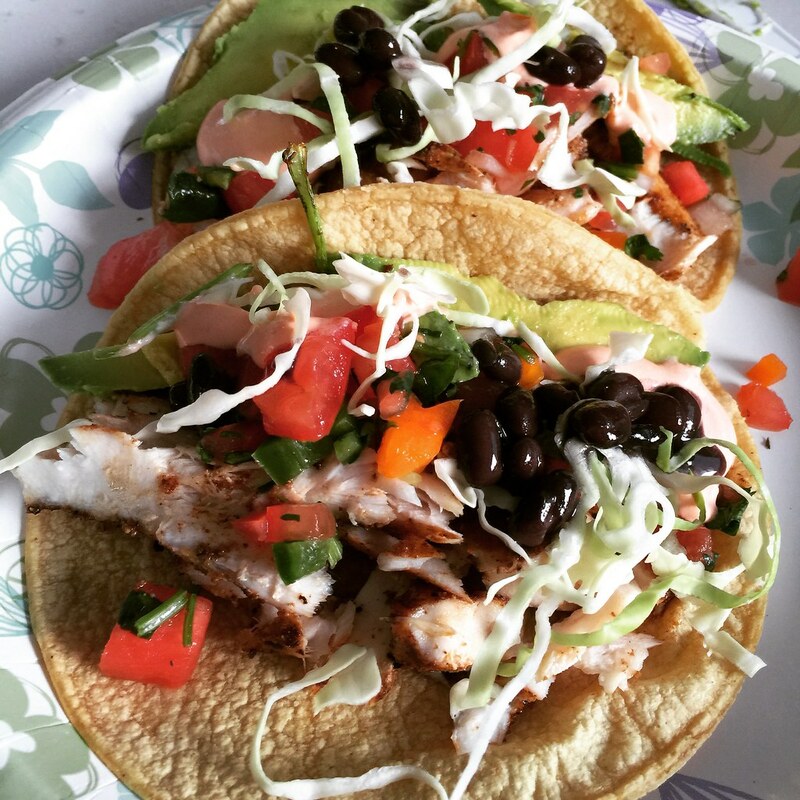 Create Taco – Break up half a fish fillet and place on top of warm corn tortilla. Top with your favorite taco garnishes. Seasoning would be good on other seafood and chicken as well. I used Mahi Mahi, but also great on talapia, cod, and/or any flaky white fish. I enjoy grilling fish on charcoal grill most, but I’ve baked the fish in a 450 degrees oven for 8 minutes and fried on medium high heat on a cast iron skillet.as well. It is good either way. Oiling the grill grate is extremely important to prevent fish from breaking apart on the grill.